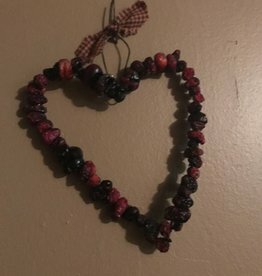 cranberry heart - Between Us Sisters, Inc. Dried cranberry hearts measure approximately 6" in diameter. We have strung them on wire and dried them. A piece of homespun fabric has been added.